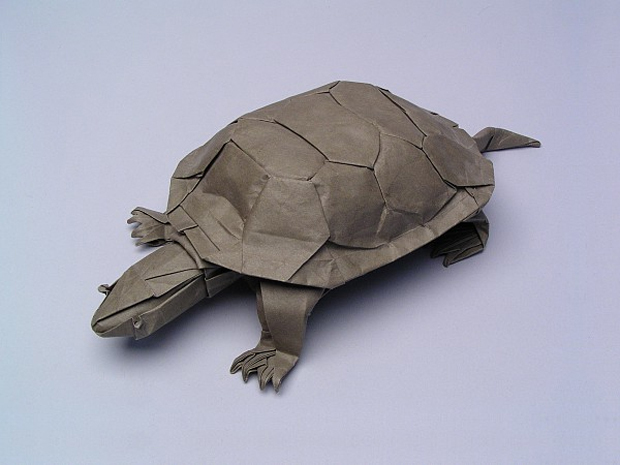 Not too many people can say they’ve taken over the Google homepage for a day, so American origami artist Robert J Lang is in a bit of a league of his own in that respect given his exposure on the search engine giant back on March 14th earlier this year. 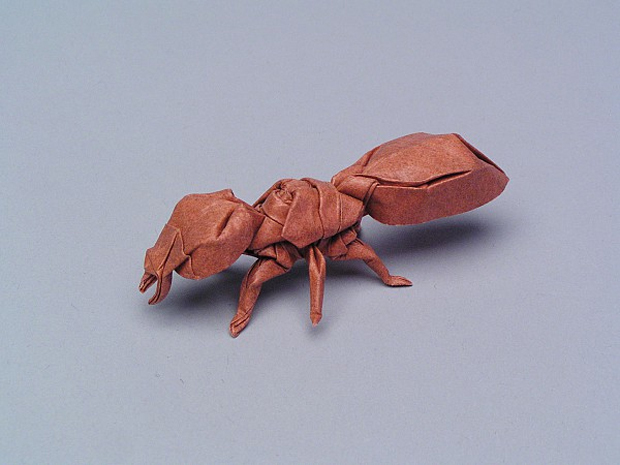 He also happens to be one of the most respected and talented Origami artists in the world, so upon enjoying his portfolio earlier today I didn’t need too much convincing to bring his work across to share with you all. 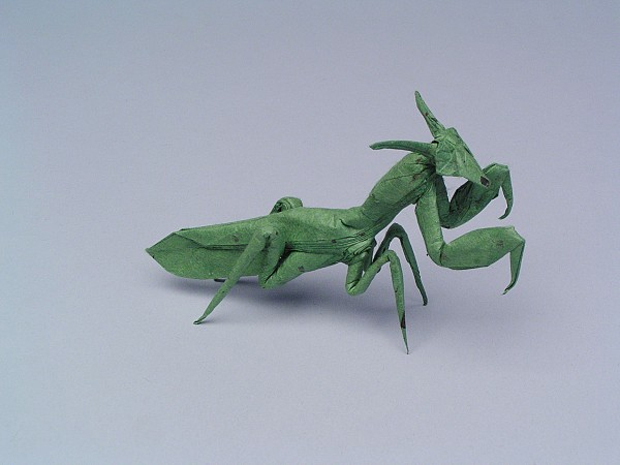 What really amazed me about his creations was the fact that not only are these often being constructed out of one single piece of paper, but they’re completely uncut in the process of creation too, the patience this chap must have is incredible. 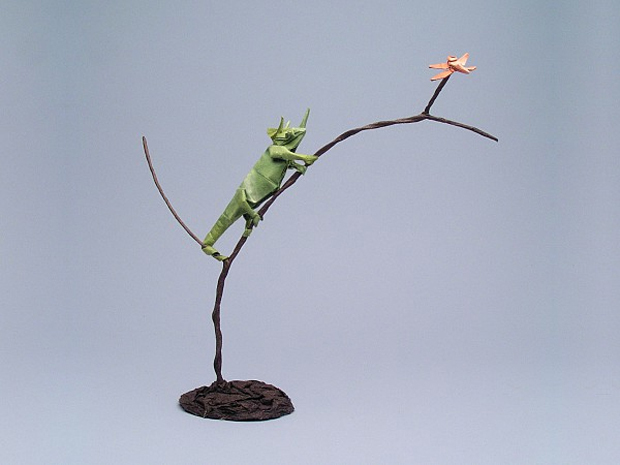 Robert has been creating sculptures large and small like these for over forty years now, with his online archive featuring many pieces he put together back in the mid-eighties, so he’s certainly put in the time to become such a master of the medium. 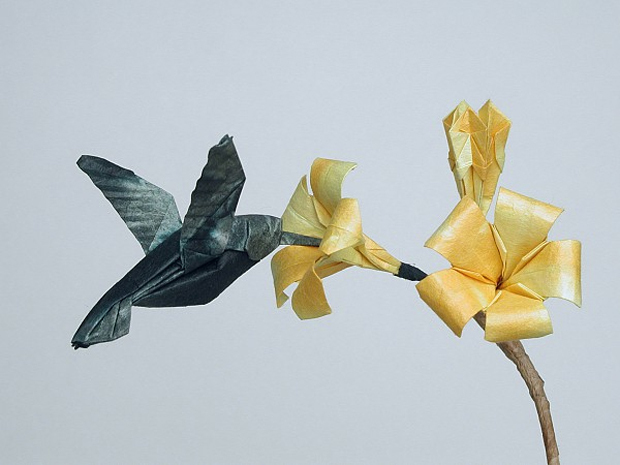 Dr. Lang was the first individual from the west to ever be invited to address the Nippon Origami association’s annual meeting in 1992, and often lectures on the art and it’s connections to mathematics, science and technology. This connection can be seen through his expansive archive which obviously makes for a great educational tool. 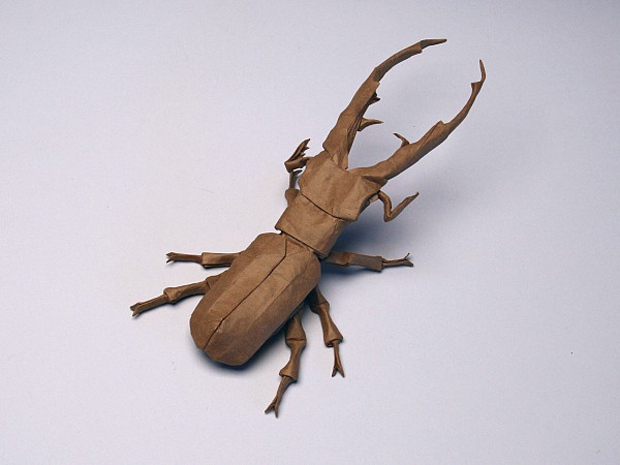 I’m sure working with paper like this could help many young minds understand more complex subjects that lack the same captivating visual experience, particulary with such realism found in his animals and insects. 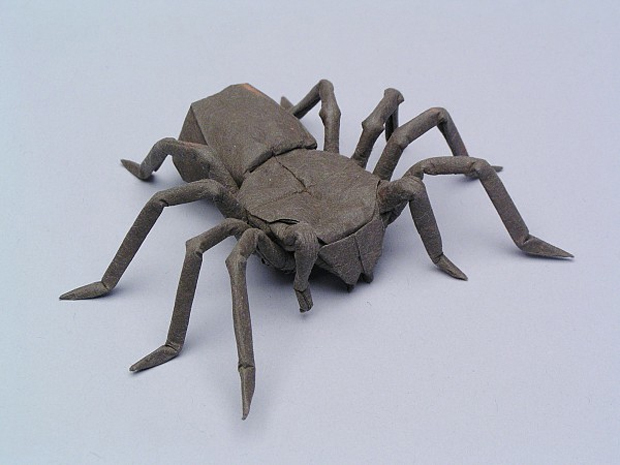 If you enjoy what we have here I’d really recommend you heading across to Robert’s webpage and taking some time to see the other creatures that he’s recreated. I’ve opted to focus for the most part on his athropods as I felt they harboured the most technical designs and details, however there’s so much else to be seen over there that deserves further attention. The chameleon in the bottom image is by far my favourite from this selection, however I’d love to see Robert branching out into architecture one day, just imagine some of the classic mid-century designs being recreated in this way, wow!